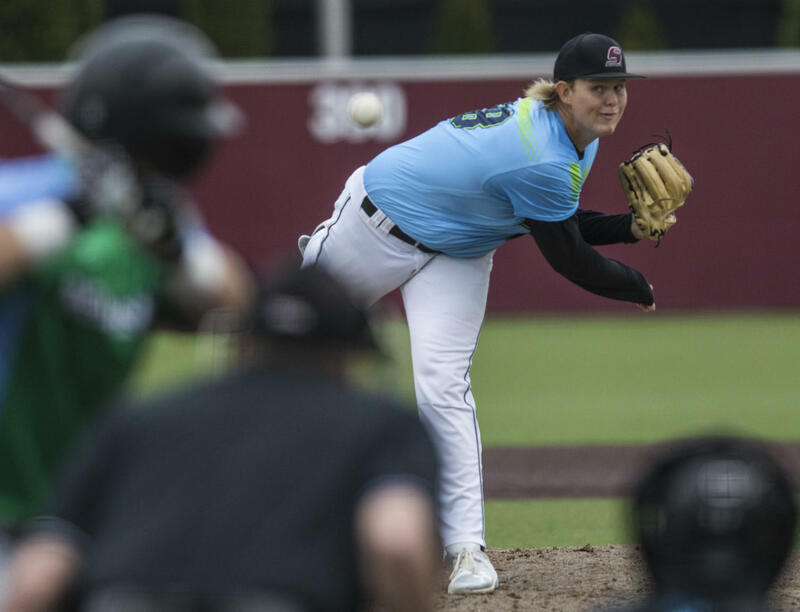 Saluki baseball hosted the SEMO Redhawks on Tuesday evening for a chance to sweep the season series. 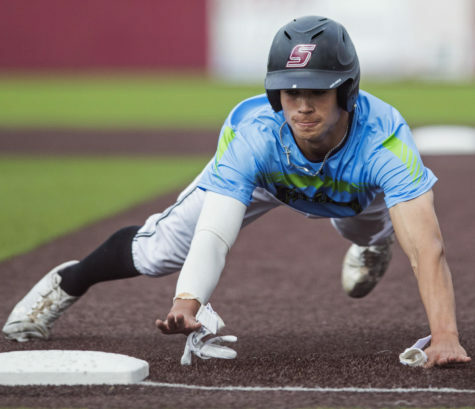 Southern outdid the Redhawks (20-21) in a pitchers’ duel that ended in a 2-0 final, snapping a three-game losing streak. 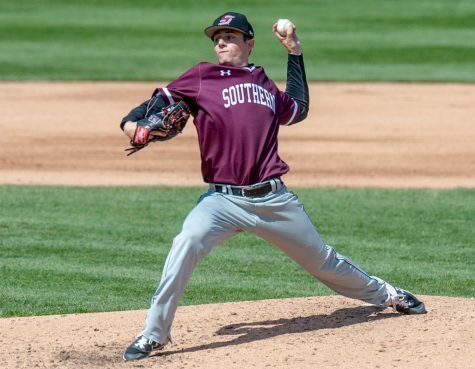 The Salukis had their hands full coming into the contest as SEMO was in the midst of five consecutive victories. 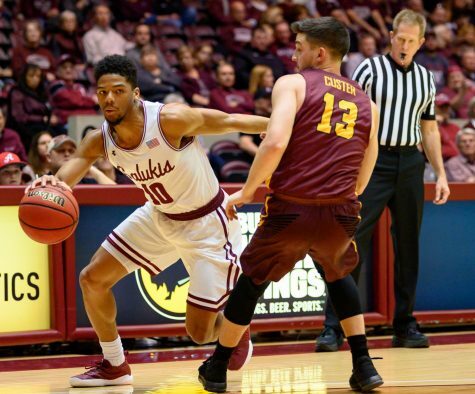 SIU also came into the game on a lack of rest as it played five games in the previous week. After four scoreless innings, Southern finally broke the scoring plane in the fifth with a double by junior second baseman Nikola Vasic, who came across on an RBI single from senior shortstop Connor Kopach. 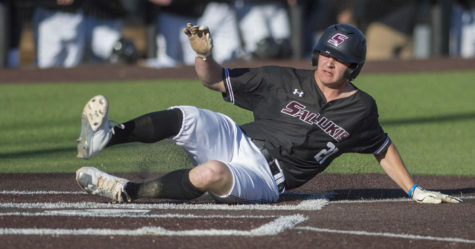 The Salukis nearly pushed the lead to 2-0 when designated hitter J.T. Weber knocked a fly ball left-center, nearly clearing the wall until junior left fielder Chase Urhahn robbed him of a home run. After pitching seven scoreless innings, sophomore starting pitcher Dylan Givens handed the ball over the freshman setup man Trey McDaniel. McDaniel found himself in a jam in the eighth as he walked one and saw another batter reach on an error. After the runners advanced to second and third on steals, McDaniel pitched his way out of the inning with a couple of strikeouts. 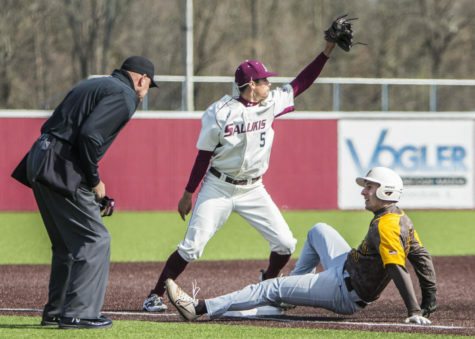 SIU added another run in the eight with a rally that began with a single by Kopach, who proceeded to third on a stolen base and a fly out. Kopach then scored on a base hit up the middle from sophomore catcher Austin Ulick, stretching their lead to 2-0. Senior closer Ryan Netemeyer stepped up to the mound in the ninth and racked up a perfect inning, earning the save and sealing the 2-0 victory that swept the season series. Givens (4-0) earned the win after pitching seven innings with no runs, six strikeouts and no walks. 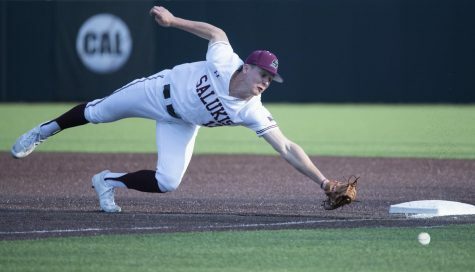 As a team, Southern struggled to get hits as the Salukis only netted seven and struck out five times. 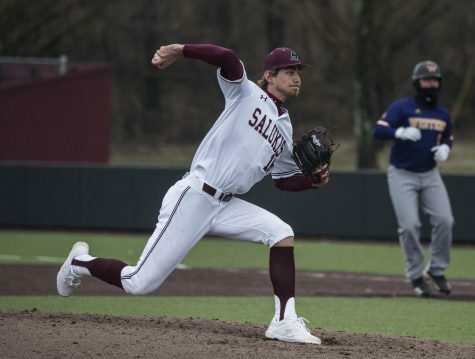 SIU (21-20, 4-5 MVC) will travel to Evansville, Indiana on Friday to take on the Evansville Purple Aces in a three-game series. First pitch is scheduled for 6 p.m. Senior pitcher Michael Baird will likely get the start.